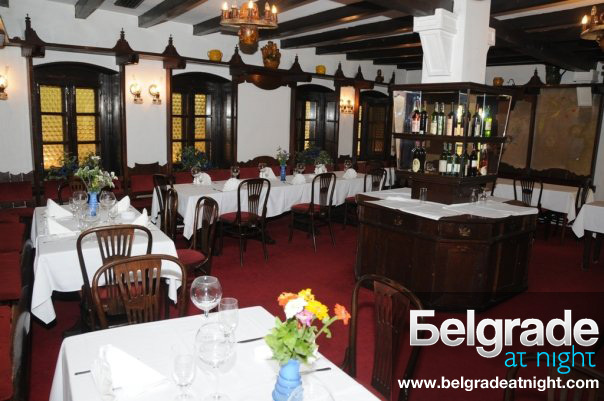 Opened in 1864, the Tri šešira restaurant (The Three Hats Restaurant) is not only a place to experience the best that local cuisine has to offer, as well as a great selection of regional and international wines, but is also of vital importance for national heritage and culture. In its 152-year long history, the Tri šešira restaurant has been the meeting place for famous poets, journalists, musicians, scientists and politicians; it was, and still is, the place where history is made and art of all kinds comes alive with the flow of good wine and rakija, the traditional Serbian brandy, or a cup of freshly brewed black coffee, prepared in the same way it has been prepared on the Balkan peninsula for hundreds of years. Alongside famous Balkan bons vivants, the restaurant’s guest book includes renowned guests like King Juan Carlos, George Bush, Will Brant and many others. The Tri šešira restaurant invites you to enjoy the exquisite Stake Tartare, a real treat made of raw meat and spices, served with butter and toasted homemade bread. Be sure to try the famous Chevap Tri šešira, one of the signature dishes of Serbian cuisine, made using traditional recipe. Indulge in Monastery Chicken, a house specialty made with melted hard cheese and presutto, in a jacket of toasted walnuts. If you want to try something new, choose Grilled Halloumi Cheese, a new dish made from organic goat cheese, grilled carefully and accompanied with a delicious pepper sauce and herb dressing, served on fresh salad. To sweeten the meal, the chef recommends a slice of the luscious Peach Fruit Cake, a delightful fusion of toasted walnut sponge and buttermilk cream, topped with delicious peach compote. The Tri šešira restaurant is one of those places that a true hedonist just can’t pass. 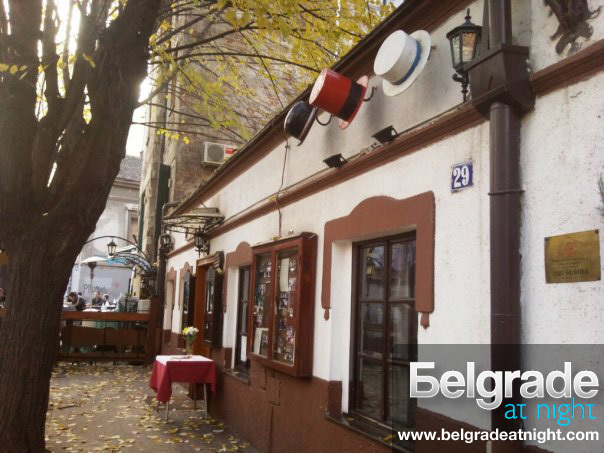 Great cuisine, extraordinary wine, unique ambience, traditional music in the shade of cascading flowers and linden trees, excellent service, history and culture, renowned guests – all wrapped in one – one of the best experiences Belgrade has to offer. Two orchestras perform at the Tri Sesira, one is for “old town” music, and the other is a Tamburica band. The music is on, every day, from 2 pm to 6 pm, and from 8 pm to 1 am.